I like the idea, it just needs way better execution. Meh. It reminds me of a coat of arms you’d see for an English noble family in the 16th century. It sort of makes me feel like the 76ers are part of Slytherin house. 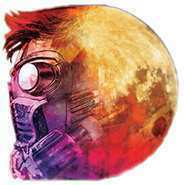 This, as well as how many graphic styles. Why is the stroke on the snake way different than the bell? Why use the retro-modernist typeface for the 76 but the Constitution signature typeface for Philadelphia? It feels like three different logos mashed up together, like something a new graphic designer might put as their first post in the concepts forum. Also don't wear your clever, weird-color alternates in the playoffs. This may be unpopular, but I think this logo is strong enough to be a primary. At first I thought it was a mess, but I guess it has grown on me. They had the tagline "Unite, or Die." but since it hints at violence they toned that down and now use "Phila Unite" on the newer merchandise. 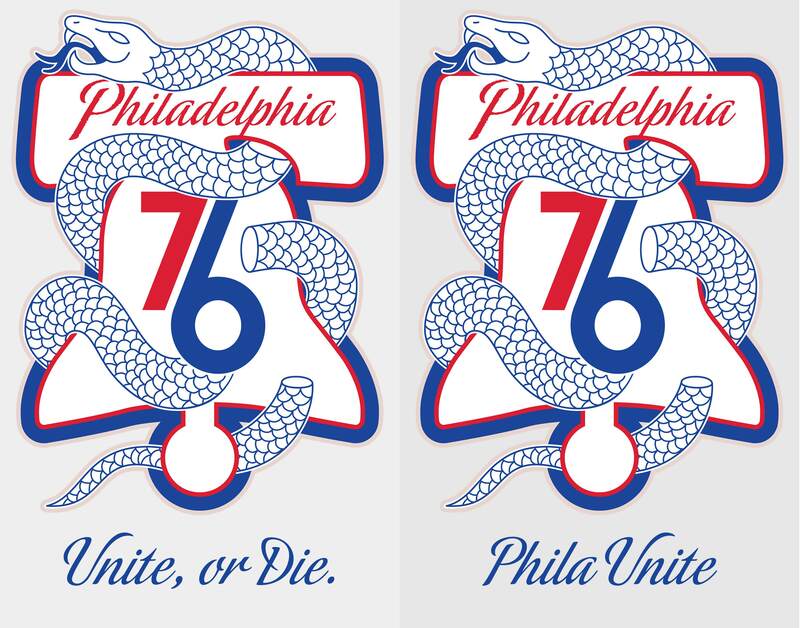 I can' understand that, I've been seeing this on the Philadelphia Union shirts - the snake with "Join, Or Die" in bold letters) Anyway It is an extremely popular logo up here right now, clothing sells out very fast! BUT when it comes to merchandise this is where it does becomes a fail from the marketing team. You can find these overpriced thin Nike "DryFit" blue shirts in stores like Dicks, Champs, Modells for $40, that's it - IF they have them in stock. If you want the cooler looking hoodies other tee shirts, stickers with this logo on it - only darn place you can find it is at the Wells Fargo Center. And even that is pretty tough! The 76ers / Flyers Fan Shop is only open on home game days, 2 hours before the game. AND it's only Sixers merch before the Sixers home game - - if it's a Flyers home game - like it was Saturday...the fan shop only sells Flyers merchandise. No extended hours for this place. 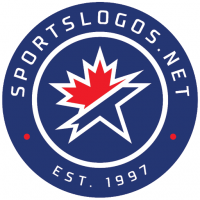 They do have a online site, and finally they replenished 76ers stock with the playoff logo. But..well forget it. 70, 85 dollar hoodies, 50 dollar tee shirts - (lot of it is ending up on Ebay at jacked up prices) I know sports merchandise is never cheap, but that's absolutely insane. They did this with the VERY limited "City Edition" logo merchandise, That was simple cool logo design, I admit I liked the blue hoodie that was out ("76" on the front, Script "Phila" on the hood) the clothing for that came and went within days. Olde City, Penn's Landing, the Constitution Center, Revolution Museum, etc. It looks really dumb. The Sixers logos always have horrible logos so it's a tradition at this point. The bell logo itself is horribly rendered and just bad design. Adding the snake, different line weights, different design styles and more typefaces just leaves me shaking my head. How did this come from a pro sports team? well I mean, it is a historical symbol from revolutionary times, so it makes sense it's mainly in the area of the city that's focused on it's revolutionary history. I'll keep an eye out on my walk home from work today (Center City to Queen Village) and see if I see it anywhere else..